Here is an ideal design for sites that slope more steeply down away from the road. 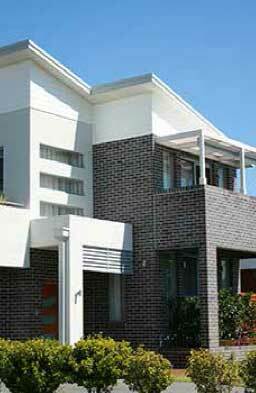 This Sedona has a contemporary Metro façade and Skillion roof. The elevated 1st Floor takes advantage of property with views to the rear and features a timber deck which has ample space for outdoor entertaining. The Upstairs is functional with open plan living and spacious Kitchen/Meals. The Master bedroom is also conveniently on this level to take advantage of views. The Foyer and upstairs living boasts a section of raked ceilings with a glazed Hi-Lite window facing the street. 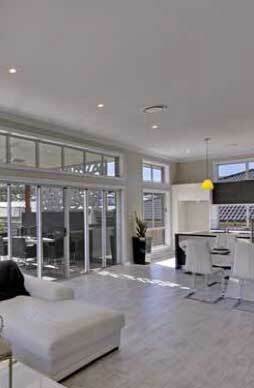 This creates that fabulous Wow factor which is emerging with 21st century residential architecture. Downstairs includes a kids zone with 3 Bedrooms,bathroom & a Rumpus with direct access to the Back yard.